Replace the filter cartridges every 6 months, when the capacity has been exceeded, or when a noticeable decrease in water flow is observed. Many water utilities add fluoride to their water for dental and skeletal health. Aquifer filters do not remove fluoride. Aquifer water filters are certified by NSF International to Standard NSF/ANSI 53 for the reduction of lead. According to the standard, the maximum lead allowed through the filter is 0.010 mg/L. Aquifer filter cartridges do not reduce Hexavalent Chromium. These water filters have been tested and certified by IAPMO R&T against NSF/ANSI Standard 401 for the reduction of select pharmaceuticals. Select pharmaceuticals include: Phenytoin, Ibuprofen, Naproxen, Estrone, Bisphenol A, and Nonylphenol. The flow rate of the single cartridge is 0.85 gal/min (3.2 l/min). 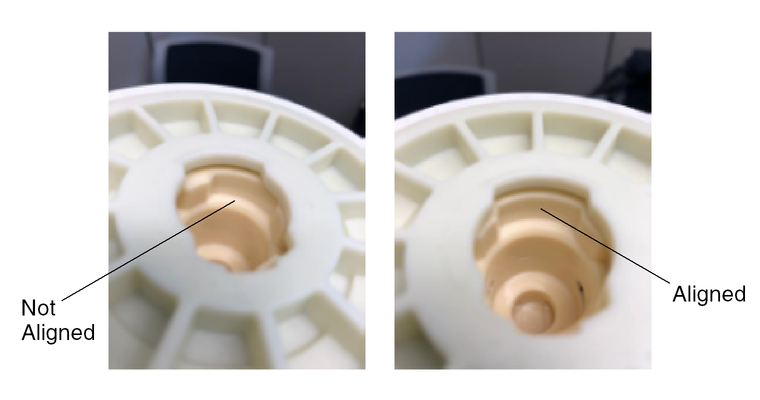 The flow rate of the cartridges is 1.7 gal/min (6.4 l/min). The flow rate of the replacement cartridge is 1.39 gal/min (5.3 l/min). The micron rating for a fluid filter indicates the ability of the filter to remove contaminants by the size of particles it is exposed to. 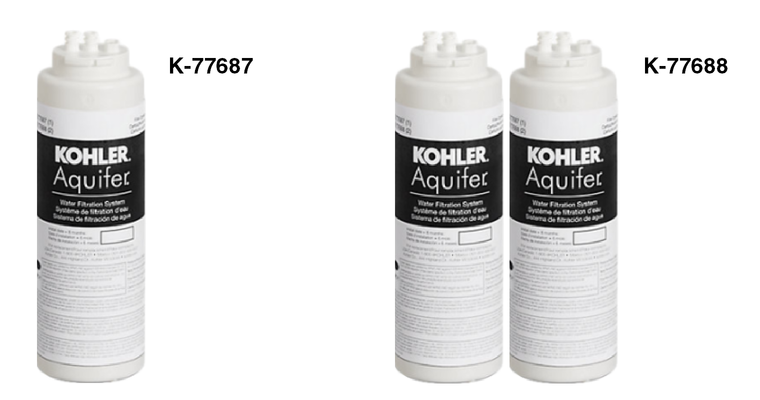 The K-77687 and K-77688 Aquifer water filters have a Class I Particulate rating, which corresponds to a 0.5 micron rating. The Class I test measures the filter's retention of particles between 0.5 and 1 micron, with the NSF requirement being greater than 85% to be in compliance. Both the K-77687 and K-77688 filters have tested to 99.9% or greater. Aquifer filter cartridges are made of coconut shell-based carbon. When you replace a filter cartridge, invert the cartridge and let it drain for 3 days. After 3 days, shake the cartridge to remove as much residual water as possible. Place the cartridge in a plastic bag provided for this purpose, and completely seal the plastic bag. Take the cartridge to your nearest FedEx shipping location. The cartridge contents will be used as concrete fill for road and other concrete structures. The plastic housing will be recycled. The K-77687 and K-77688 filter cartridges are NOT compatible with the K-200 Aquifer water filtration system. Order replacement filter cartridge K-20852 for your K-200 Aquifer system. Cartridge number K-20852 has replaced the K-201 and K-202 cartridges. Replace filter cartridges every 6 months, when the capacity has been exceeded, or when a noticeable decrease in water flow is observed. Position a bucket, pan, or rag under the filtration system to catch residual water. Rotate the installed cartridge as far to the left as possible, until it stops. Verify that the tabs on the filtration head are aligned. Remove the old cartridge from the filtration system. Write the installation date on the label. Remove and discard the cap from the new filter cartridge. Verify that both O-rings are present and positioned correctly in the grooves. Line up the filter cartridge with the filter head. 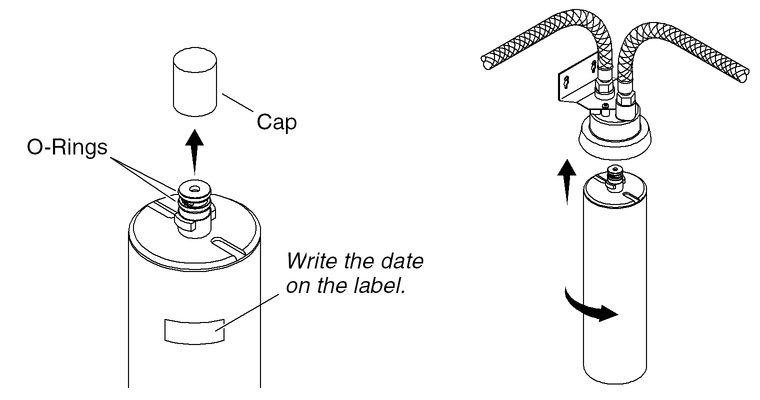 Press the filter cartridge upward, and use your hand to rotate it counterclockwise 90° to the locked position. For more information about the Aquifer filtration system, visit kohler.com/filtration .